William G. “Hog” Hample, 81, a lifelong area resident, died on Friday, June 2, 2017 at VA Hudson Valley Health Care System, Castle Point Campus in Wappingers Falls, NY. Mr. Hample was a mechanic at the Harlem Valley Psychiatric Center in Wingdale, NY retiring in 1993. Born on April 13, 1936 in Queens, NY, he was the son of the late William and Roberta (Armstrong) Hample. 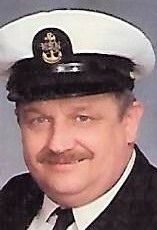 Mr. Hample proudly served in the US Navy for 20 years during the Vietnam War. On August 24, 1957 in Wingdale, NY, he married Irene Svarplaitis who predeceased him on February 2, 1992. Mr. Hample was a member of the American Legion Post #1949 in Wingdale, NY and the founder and president of the Hogerine Rod and Gun Club in Wingdale. Mr. Hample is survived by a son, John L. Hample of Wingdale, NY; two daughters, Maryanne Lowe and her companion, Jeffrey Streck, of Rome, PA and Roberta Orton and her husband, Lewis, of Wingdale, NY and two sisters, Virginia McKee and her husband, John, of Citrus Springs, FL and Joan Albiso of Washington (State). He is also survived by five grandchildren, John L. Shaw, Shawna Lowe, Ashley Lowe, William A. Orton and Robert L. Orton. In addition to his parents and wife, Mr. Hample was predeceased by a daughter, Joanne Hample on September 7, 2012. Calling hours will be held from 3 to 6:30 p.m. on Tuesday, June 6, 2017 at the Hufcut Funeral Home, 3159 Route 22, Dover Plains, NY. The American Legion and Navy Honor Guard will conduct services at 6:30 p.m. Memorial contributions may be made to the American Legion Post #1949, P.O. Box 654, Wingdale, NY 12594. or Hudson Valley Hospice, 374 Violet Ave., Poughkeepsie, NY 12601. For directions or to send the family an online condolence, please visit www.hufcutfuneralhome.com. To send flowers to the family of William G. "Hog" Hample, please visit our Heartfelt Sympathies Store.